Family Business United is delighted to announce that Marton Mills is the winner of the Luxury Goods Family Business of the Year Award for 2016. “The judges were impressed with Marton Mills and their role within the broader sector in which they operate, demonstrating a clear commitment not just to the future of their business, but to the sector as a whole. This is a family firm that truly deserves all the plaudits that winning this award brings." 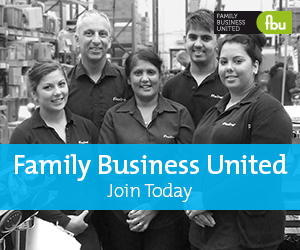 The Family Business of the Year Awards are organised by FBU, the award-winning magazine and resource centre the champions and celebrates the family business sector. Now in their fourth year, these awards recognise the diversity, strength and depth of family firms across the UK and seek to highlight the contribution that family firms make to the UK economy. Open to family firms of all generations, sizes and sectors, these awards really do recognise some outstanding family firms and really help to put family businesses on the map. Judged by a panel of experts from the world of family business advising together with a group of family business representatives, the awards are well respected and sought after accolades. The awards process concluded at a Gala Reception and awards ceremony that took place in London at the prestigious May Fair Hotel in London on June 2 where all the winners were crowned.